An interesting question I get asked is, "Why don't all order sets look the same at every hospital, even for the same disease?" "Why can't we just use order sets from someone else?" "Why can't we just use canned order sets without editing them?" "What do your policies look like?" "Why can't we just use canned policies?" But all of these basically ask the question, "Why isn't this standard?" and, of course, the follow-up question is, "Why is every hospital re-inventing the wheel?". For inspiration to answer this question, I'd like to first explain a little bit about a wonderful thing : The brick. 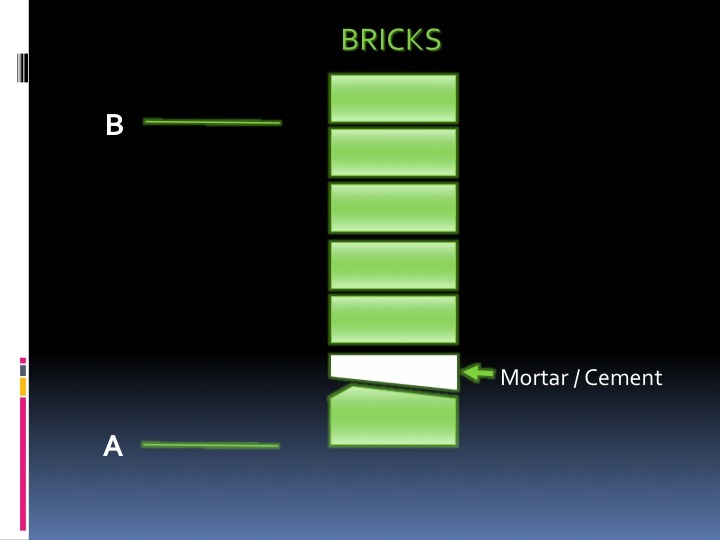 A brick has a fairly predictable shape that allows you to easily arrange them to connect two or more places in space. 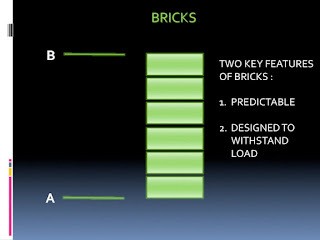 A brick is designed to withstand a particular load. You'll notice these two features are helpful when designing any system - Having basic units engineered in a predictable manner, which can be assembled to make a bigger, more complex system that achieves a certain goal. Hospitals contain systems that are also made of smaller units - Order sets are made of orders, clinical pathways are made of order sets, charts are made of notes, policy manuals are made of policies, etc. Unlike a physical brick, however, all of these basic units are conceptual - They are mostly complex documents - not physical objects - so it's a little harder to tell how predictable they are - e.g. to know if they're not engineered exactly the same. You can immediately and obviously see the entire system is off, and locate the offending brick quickly. But because regular bricks in the real world have subtle imperfections, humans have developed a tool we can use to compensate for these imperfections : Mortar, or cement. 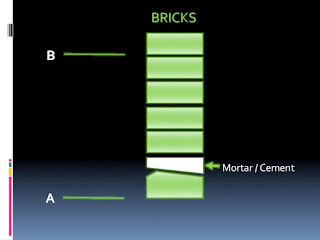 Mortar/cement only works, however, to help straighten out the system when our brains get involved - We see the system leaning, so we set up guidelines/markers to help determine what is straight, and we put down the mortar/cement to compensate and correct the system. Again, the compensation depends on our human brain. Because documents are not physical objects, we may not see the system leaning - But it can lean the same way in a conceptual manner. Fortunately, our brains can still compensate for a lot of conceptual leaning. So in my job in clinical informatics, I look at the standards by which the "document" bricks are built - To determine just how standard they are, and how much people's brains are compensating. And this is why hospitals all have order sets that look and behave slightly differently - Because there aren't national standards by which their bricks are engineered. Fortunately, human brains are filling in the mortar. 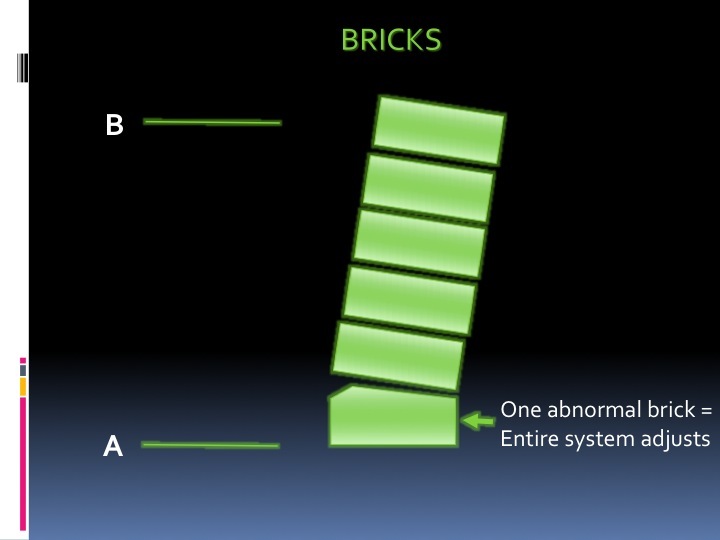 What would it take to get all hospitals to engineer exactly the same bricks? The same engineering standards at all hospitals. And what would it take to get all hospitals to engineer bricks as well as Legos? An engineering process that was detailed enough to ensure that every brick looked virtually identical. So why don't all hospitals have the same engineering standards and engineering process? Because documents, unlike bricks and Legos, are not as easily understood/studied/observed as physical objects. And because, for better or for worse, human brains can compensate extremely well - So there is little pressure to engineer them exactly the same. So as a result : Every hospital is re-inventing the wheel when it comes to their processes and their documents. In almost every hospital, they are looking to achieve exactly the same goal (in brick terms, "bear the same load") - Delivering standardized but customizable, evidence-based, high-quality care. But because the engineering standards and processes are not defined nationally, their tools are all ever-so-slightly different, and so virtually every hospital has to engineer them slightly differently. The number of people employed to re-engineer all of these tools is remarkable. And it doesn't just include order sets - It includes every document in a hospital, virtually everything I mentioned in the CMIO's Checklist - Order sets, policies, protocols, documentation/forms, templates, etc. And all of these tools have to be continuously updated to reflect best practices, new technology, new evidence, etc. Unfortunately, keeping up with all of this information, and managing it, is very challenging for most hospitals. The professional industry term for this is "document management", and hospitals that do this well will probably have an easier time in the next five years than hospitals that do this poorly. So to help hospitals struggling with this, I have often wondered why nobody publishes national, standard definitions of these tools, so that we could at least have the same engineering standards, and maybe then the same engineering processes - So that the order sets would all look the same - And you could truly use the same order set at any hospital...? I suspect the reason that no regulatory body currently wants to offer these standard definitions is this : Anyone who tries to introduce these definitions and engineering standards nationally will have a big operational and financial challenge : 99% of hospitals would suddenly have to re-tool all of their documents to meet these national standards. Imagine the cost to healthcare nationally. But so then I wondered - could we do something like this on a much smaller basis, in a much slower, more controlled manner? Again I'll mention our Interstate 91 Informatics project - Where a bunch of volunteer Informaticists along the Interstate 91 Corridor here in New England are starting to meet regularly to talk about our common informatics issues. As I mentioned in a previous post ("Can we do better than SOAP? "), we are going to start talking about ways to standardize our documentation on a regional level. I'm interested to hear people's responses because it could be very interesting if, in the next step, we looked at standardizing our definitions, engineering processes, and engineering standards. Would it allow us to share resources that ultimately saved all of our hospitals money, and reduced the cost of operations and care in the entire region? My belief is that we are all both teachers and students our entire lives - So I love to hear people's feedback and thoughts. Feel free to leave comments or questions - Always glad to entertain any new or interesting ideas!